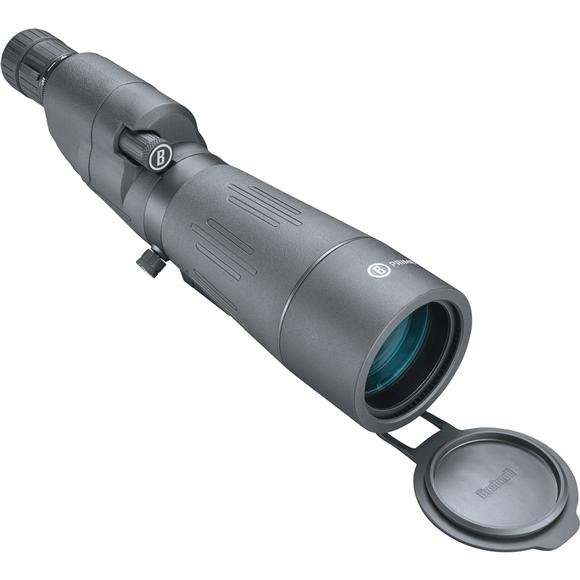 This 20-60x65mm Prime Spotting Scope offers a great magnification range without breaking the bank. Bushnell's exclusive EXO Barrier technology, fully multi-coated lenses, and IPX7 waterproof construction ensure a crisp, clear image in any condition. This 20-60x65mm Prime Spotting Scope offers a great magnification range without breaking the bank. Bushnell&apos;s exclusive EXO Barrier technology, fully multi-coated lenses, and IPX7 waterproof construction ensure a crisp, clear image in any condition. Multiple layers of anti-reflective coating on all air-to-glass surfaces deliver bright, high-contrast images. Argon-filled optics remain stable regardless of ambient temperature for the ultimate fog-proof protection.